Product prices and availability are accurate as of 2019-04-20 20:22:02 UTC and are subject to change. Any price and availability information displayed on http://www.amazon.com/ at the time of purchase will apply to the purchase of this product. Amico ST-205 can weld Steel, Stainless steel, Alloy steel, Mild steel, Nickel alloys, Copper, Brass, Bronze, Cast Iron and Chrome etc. ST-205 is a rectifier adopting the most advanced inverter technology. 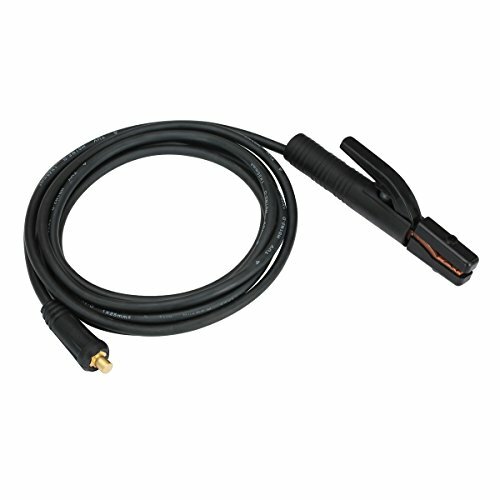 welding power source can offer stronger, more concentrated and more stable arc. when stick and work piece get short, its response will be quicker. 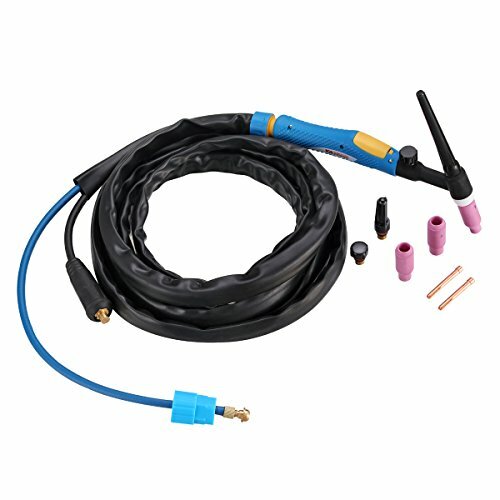 it means that it is easier to design into welding machine with different dynamic characteristics, and it even can be adjusted for specialty to make arc softer or harder. 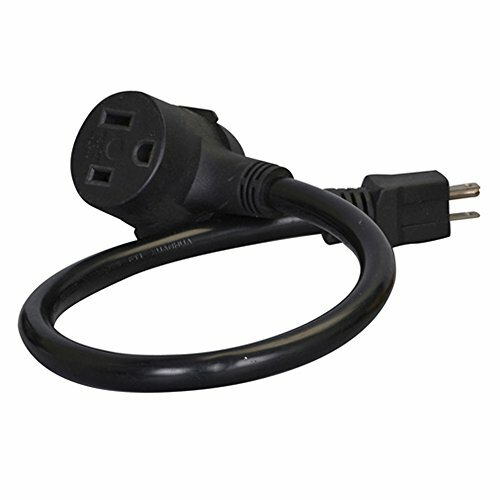 Input Power: 115/230V/1/60Hz, Rated Input Power is AC 230V/8.5KVA/37A & AC 115V/4.8KVA/42A, TIG Current Range is AC 230V/DC 28.0V/20-205A & AC 115V/DC 25.6V/20-145A, Stick Current Range is AC 230V/DC 28.0V/20-200A & AC 115V/DC 25.6V/20-140A. 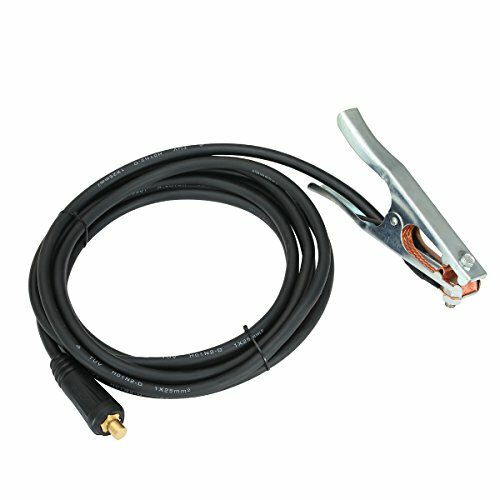 60% Duty Cycle at 205A, Forced Air Fan Cooling, Lift-TIG Arc start, Usable Electrode: 1/16 inch-1/4 inch, 93% Power Factor, IP21S Protection Degree, Size 16 x 6.25 x 12 in. Weight is 15 Lbs. Packaging Size 19 x 10.2 x 13.6 inch. Packaging Weight 26 Lbs. 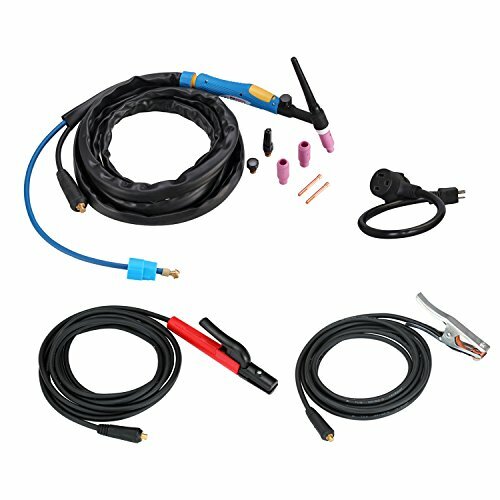 Included TIG-205 TIG & Stick Machine, 13 Feet Professional TIG Torch Gun, 10 Feet Electrode Holder and Cable, 10 Feet Work Clamp and Cable, 115V & 230V Power Cord Adapter. ST-205 is ideal for Stick/Arc force with Lift-TIG function, Lift start-easy arc starting and improvers tungsten life, simple to operate, LCD amperage display. Advanced IGBT inverter technology, excellent Arc stability, Hot start, Anti-sticking, Arc force built in, automatic temperature control, fan dormancy, steeples amperage control, all generators friendly. Automatic compensation for voltage fluctuation, over-voltage protection, under voltage protection, over current protection, over load protection. The lightness and strength of its components make this a reliable work tool for professionals or personal use. 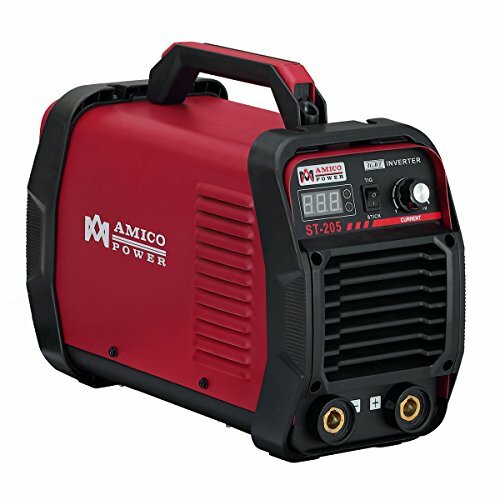 This is optimized to deliver a flawless weld, making spatter and post-weld cleanup almost non-existent, 115V/230V dual voltage input. all machines tested in the USA.